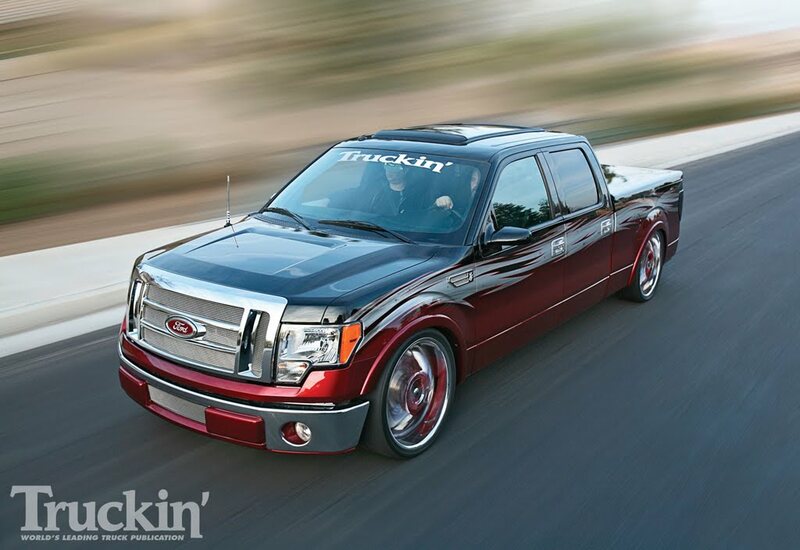 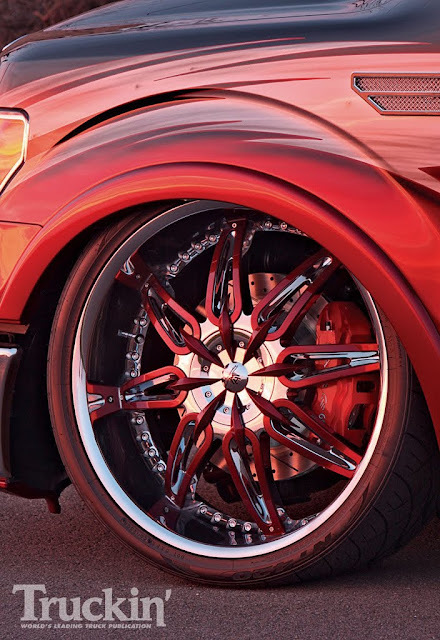 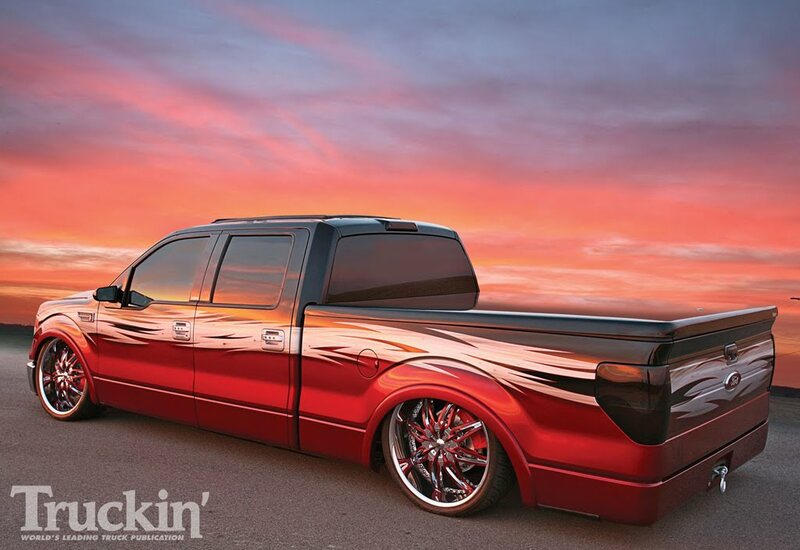 Featured on the cover of Truckin' Magazine was this Ford Truck with Hipnotic Diva wheels. 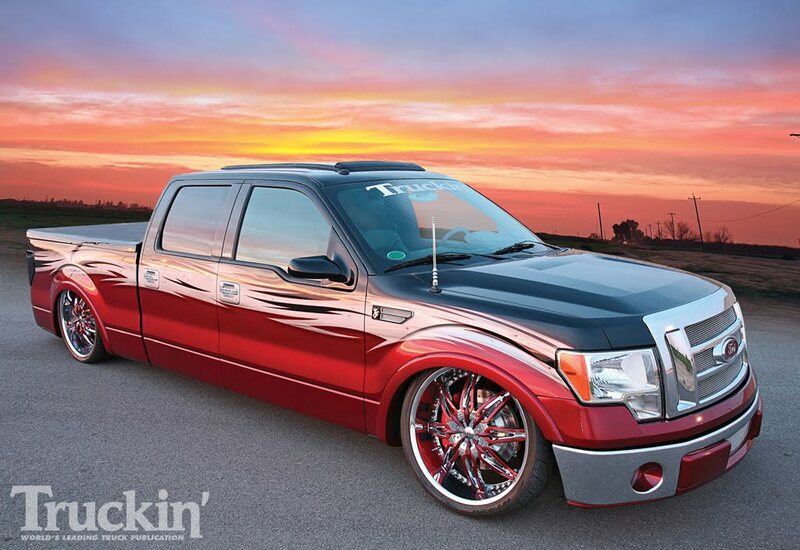 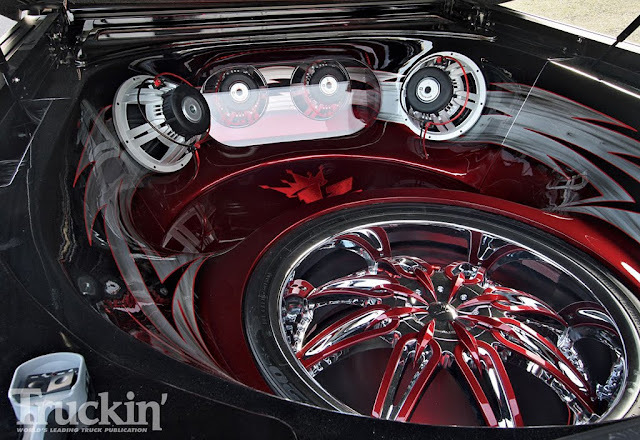 Inside the magazine was a spread featuring all the customization that was done to the truck as well as the wheels. The wheels we customized by having the inserts color match the red portion of the trucks custom paint.